Couldn't find a thread dedicated to the new Zelda which I thought was strange. 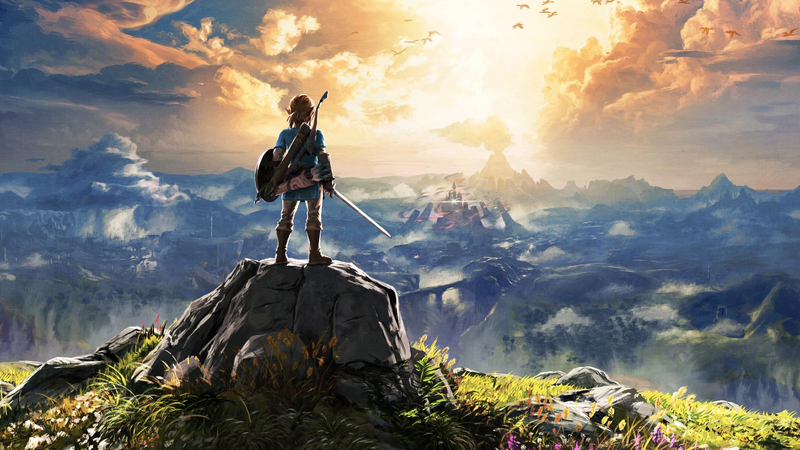 We have a Switch thread but if any game deserves its own thread it's Zelda! So how are you feeling about it since the last presentation? Does anyone think the price will come down before launch? £60 is a lot of money. EDIT: 02/03/2017 - No spoilers tag added to the thread title, to be safe though as some screenshots and videos have been posted previously I recommend only viewing from page 15 onward if you're really concerned. Is the Wii U version releasd on the same date? I have the Wii U version pre-orderd. Normally I wouldn't bother, but I'm concerned that Nintendo will do the same as that did with Twilight princess and only do a small run for the outgoing console. Yep me too. Still can't stomach the price for the Switch version but I paid about the same for Zelda 64 back in the day. That's a good shout, I have a Switch and Zelda preordered but think I might reserve the Wii U version too in case I change my mind. I really don't no what to do regarding Zelda, I have a WiiU and I was buying for the WiiU, but now it's coming out on Switch, which I won't be buying until more games come out and the console has seen a price drop. Do I buy for the WiiU or do wait a year and buy for the Switch???? It's already down to £50 at The Game Collection. What's the best place to order the WiiU version from? I looked on Nintendo's Official Store and they don't seem to have it on there. And argos. I honestly can't see ever needing to pay more than £50 for a game, every time a new console comes out, they try it on with the prices early on, happens with all consoles. probably that rainforest place. £38 with prime. Massive fan of Ocarina but haven't been a fan since, could never get into Windwaker. That trailer, I don't know, it's not appealing to me. I guess it's the cel-shaded/anime approach. Really looking forward to this I will be getting it on Wii U, I hope the fps and draw distance holds up. Looking forward to this. Not played Zelda since Ocarina of time on the n64 when I was younger. 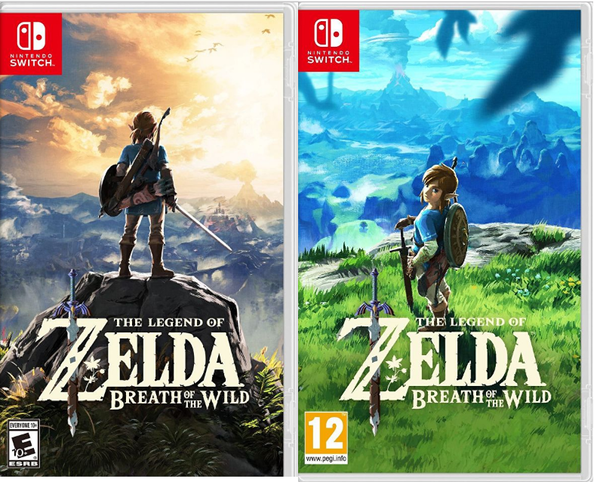 So which box art do you prefer, US or Europe? This was an article on Eurogamer the other day. US is on the left, Europe on the right. Personally, I much prefer the US one as it seems much more dramatic, I don't like the way Link is looking back in the EU version. US box is very Lord of the Rings, but that's seldom a bad thing. Was surprised at the comments on Eurogamer, a lot of people preferred the blue skies EU one, I thought the moody US one would have taken it hands down. That's a difficult choice, but I think I prefer the brighter EU one. I feel it better suits the title "Breath of the Wild". 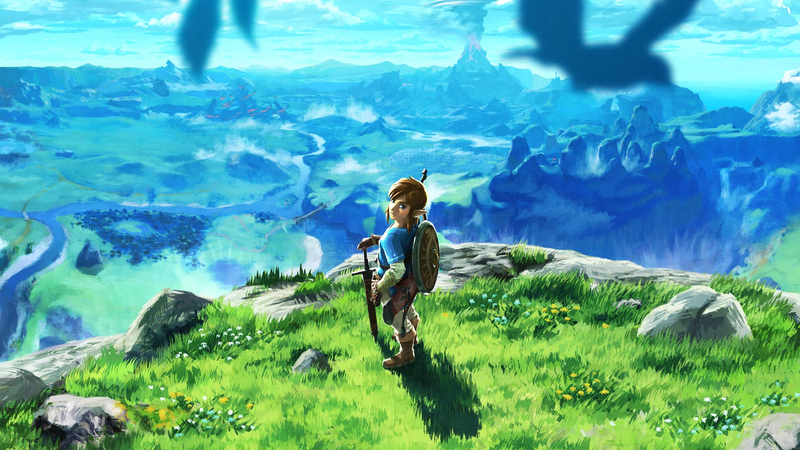 I know what you mean, I think if Link was looking straight on or in silouette then I'd love it. Thanks for the wallpapers/links, I found a pretty good version of the US one previously but wasn't optimised for widescreen. Is now sitting proudly on my desktop. I do love the look of this, not even sure I'm buying a Switch but this is making a strong case for it! Ta for my new desktop wallpaper. This will probably be my last Nintendo purchase. It's a major reason I bought the WiiU and they've kept me waiting. The switch does not appeal, especially not the new mario which reminds me of the worst in the franchise (sunshine). I think grew out of Nintendo about 10 years ago but have always been pulled back in via marketing. They're really not resonating with me this time.